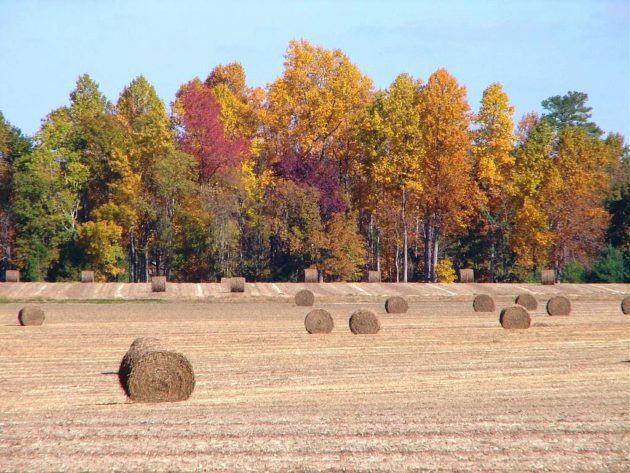 The first day of Fall officially commenced last Thursday and in most parts of the nation Autumn is in full bloom with cooler climates, shorter days and the changing of the leaves, along with the season’s new harvest of produce and consumer goods. 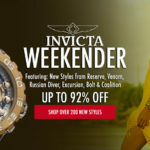 WorldofWatches.com is celebrating the season’s new harvest of watch styles this week with our Fall Favorites Event, featuring highly sought-after men’s and women’s styles from popular watchmakers: Bulova, Movado, Seiko, Citizen, Bulova Accu-Swiss and Wittnauer. Over 115 models are presented in the promotion, including everything from precision Swiss-made automatic timepieces and pace-setting chronographs to right on-trend fashion watches and ultra-sleek sports models. The Bulova Accu-Swiss Murren men’s watch captures the look and feel of the season in rose gold-tone stainless steel and brown leather. This handsome Swiss-made traditional men’s timepiece features the round case in rose gold-tone ion-plated stainless steel in a highly polished finish. The handsome crocodile textured brown leather strap adds to the stylish good looks and has a convenient deployment clasp for added distinction. The stationary, integrated bezel surrounds the brown metallic dial with rose gold-tone skeleton hands and hour markers. A window above the 6 o’clock hour reveals the automatic date calendar. 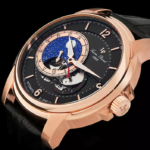 Features include a scratch resistant sapphire crystal above the dial, self-winding automatic movement inside and water-resistance to 30 meters or 100 feet. 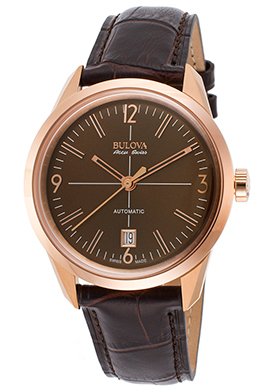 Bulova Accu-Swiss Murren men’s watch is 40mm diameter and 10mm thick. The Movado Diamond Bold wristwatch offers consummate glamour for today’s woman. This exquisite women’s Swiss made watch is sleek and architecturally inspired with a perfectly round case in highly polished stainless steel, presented on a lustrous bangle link bracelet in stainless steel. Shimmering round-cut white diamonds dramatically adorn the perfectly round bezel in lustrous stainless steel. The signature Movado dial shines with a metallic silver colored background, polished silver-tone sword hands and the signature Movado concave dot at the 12 o’clock hour. Features include a scratch resistant sapphire crystal above the dial, premium Swiss-made quartz movement inside and water-resistance to 30 meters or 100 feet. 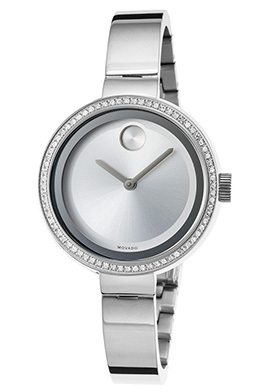 Movado Diamond Bold women’s watch is 34mm in diameter and 9mm thick. The Movado Luno watch is a striking selection for today’s modern man. This sleek and urbane styling gets noticed with a perfectly round case in brushed and polished premium grade stainless steel, presented on a handsome triple link bracelet with the engraved signature Movado concave dot on the center links. Bracelet has a push-button clasp for added convenience and security. The raised stationary stainless steel bezel surrounds the black dial with polished silver-tone sword hands and the signature concave dot at the 12 o’clock hour. 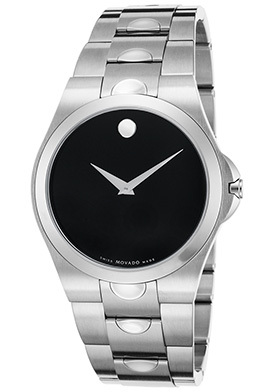 The Movado Luno men’s watch is 39mm in diameter and 8mm thick. 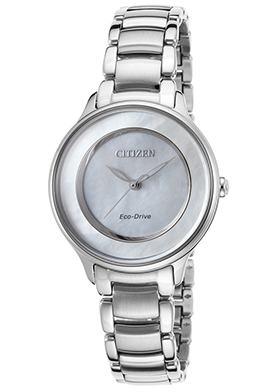 The Citizen Circle Of Time women’s watch is a sleek and stylish selection. The ultra-slim and slender polished steel case is presented on the matching multi-link bracelet in brushed and polished stainless steel. The iridescent Mother-of-Pearl dials shines with luminous silver-tone sword hands and a raised polished steel outer ring. Features include a scratch resistant sapphire crystal above the dial and water-resistance to 50 meters or 165 feet. The patented Eco-Drive quartz movement inside is powered by sunlight or any light source and will never require a new battery. Citizen Circle Of Time women’s watch is 30 mm in diameter and 9mm thick. The Citizen Eco-Drive Titanium Perpetual Chrono A-T Watch for men not only offers patented Eco-Drive solar technology, it also features atomic time-keeping technology, which receives radio signals from designated atomic time towers throughout the globe for precise, up-to-the-second time-keeping accuracy. This radio controlled Atomic watch synchronizes with the national atomic clock in Fort Wayne, CO. The contoured round case and matching bracelet are crafted in ultra-light, ultra-durable titanium with brushed and polished surfaces. The stationary black ion-plated stainless steel tachymeter bezel surrounds the black dial with sub-dials, luminous hands and hour markers. Features include a perpetual calendar date window, day-of-the week and power-reserve indicators, a second and 60-minute chronograph countdown timer, five time zone and alarm functions. Features include a scratch resistant sapphire crystal above the dial and water-resistance to 100 meters or 330 feet. 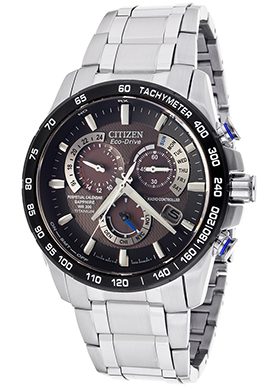 Citizen Eco-Drive Titanium Perpetual Chrono A-T men’s watch is 42mm in diameter and 14mm thick. The Wittnauer Crystal Inlaid Women’s Watch delivers a sparkling embrace in lustrous yellow gold-tone stainless steel and glistening crystals. Every element of this exquisite women’s dress watch…from the round dial and bezel to the case and bracelet links features dazzling inlaid white crystals, pave-set to glowing perfection. Luminous gold tone hands accent the shimmering crystal inlaid dial. Features include a push-button clasp on the bracelet for added convenience and security, along with quality quartz movement inside and water-resistance to 50 meters or 165 feet. 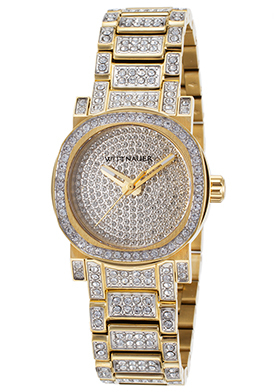 Wittnauer Crystal Inlaid Women’s Watch is 29mm in diameter and 10mm thick. Fall harvest image courtesy of Wiki Commons. Watch Out! 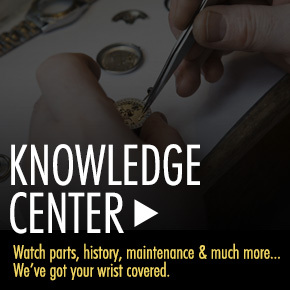 The Signs of a Good Watch.